The cool and refreshing breeze of Fall is in the air and many of us will be turning the thermostat to the heat setting and starting up the gas furnace for the first time in 5 months or longer! I haven’t run the gas furnaces that heat my home since March or April… clearly enough time for spiders, birds, or any other small critters to find their way into the system! Like any other major appliance, there are quite a few things you can check and maintain on your own when it comes to the gas furnace, but there are also several things that you need to leave to a Qualified HVAC Technician! In this DIY Article, we are going to do a quick and easy 15 minute self-inspection and start up of our gas furnace, and also learn about what to look for in case we need to call in a pro! The first step you want to take in the gas furnace inspection process, is to give it a good visual inspection and look for obvious signs that something is wrong as you approach the gas furnace! If you see any of the signs above, you should inspect further or call in a qualified local contractor, before starting the furnace! 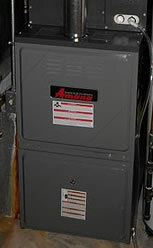 Next, find the circuit breaker panel or shut-off switch for the gas furnace and make sure the power is turned off! While we are not going to do much with the electrical wiring and controls systems, it is very important to make sure you treat electrical power very carefully! 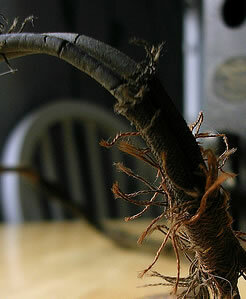 For most minor electric issues like loose or exposed wires, you can repair these on your own. If you are not comfortable however, it’s worth it to call out a Qualified HVAC Maintenance company to take care of the problem! One wrong move when it comes to electrical can short out other items that may not be covered under the system warranty if you do it yourself! The next step of a DIY Gas Furnace inspection, is to check the mechanical aspects of the heating system! Check the Side Panels of the Furnace to be sure they are Properly Closed and Fastened! Remove the Furnace Filter and Replace it with a New Filter if you have not done so within the last 30 days! Inspect where the Evaporator Coil or Sheet Metal Duct is connected to the Gas Furnace, to make sure they are not loose fitting or have areas that need to be resealed. Carefully Move the Duct Very Slightly at one of the Connections to see if it moves and shifts easily! 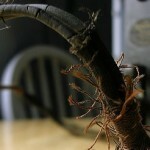 If so, this may mean you need to have your duct system re-sealed! If any of the side panels do not fit tightly, or the duct work has come loose from your furnace, you should contact your local HVAC service company to correct the problem before starting the unit! As we all know, Carbon Monoxide is the silent and deadly killer! Your furnace flue system is the path CO takes to leave your home and is one of the most important parts of the gas furnace, aside from the unit itself! The Flue should be Inspected from the Furnace, all the way Out of the Roof of your Home! No Parts of the Flue Pipe should be Touching ANY Combustible Surfaces like Drywall or Wood! Inspecting the furnace flue pipe is usually best left to a professional who knows exactly what to look for! If you have ANY doubts about the condition of your gas furnace flue pipe, call your local HVAC contractor for an inspection! Your life depends on it! If you feel that your gas furnace needs further attention, call a local professional before ever starting the unit! Otherwise, turn the power switch and circuit breaker back on, and get ready to start your furnace! Now that you have performed a basic inspection of your home gas furnace, it’s time to take a few additional safety precautions, and start up your furnace for the first time of the heating season! Replace or Test your Smoke and Fire Detectors! Make Sure there are No Combustibles Anywhere Near Your Gas Furnace! Head on over to the Thermostat, turn it to the heat mode, set the temperature higher than it’s currently at in the home and wait for the gas furnace to start up! When it starts for the first time of the season, you will probably hear small crackling noises from the duct work expanding and contracting, and also notice a foul smell in the home… this is generally dust or cobwebs that have to burn off from the system heat exchanger. If the heating system doesn’t start within 5 minutes, call out a Qualified HVAC Company to service your gas furnace! Actually, if you have not had the system serviced from a prof3essional in the last 12 months, you should call them out for annual maintenance! It may even be required to maintain the factory warranty! Gas Furnace Guide – Learn more about gas furnaces, read product reviews and tips for getting the most from your gas furnace purchase. 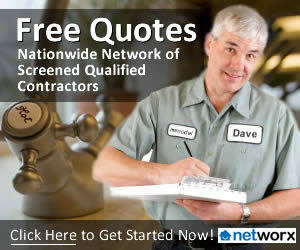 Service Magic Locater – Link to the Service Magic website, where local qualified contractors are listed in your area. We love to hear from professionals and get any advice they may offer! What else do you advise a homeowner consider when starting their gas furnace for the time of the heating season? 7 Ways To Save Money on a New HVAC System!